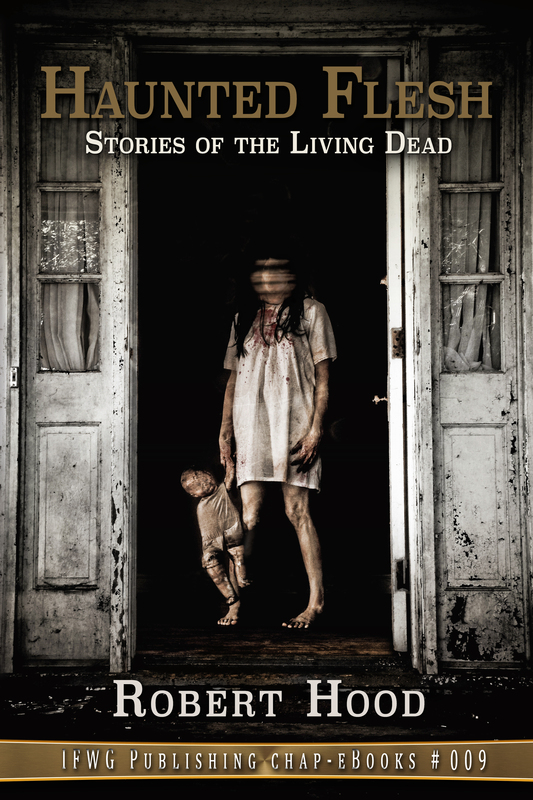 IFWG is excited to announce its 9th Chap-ebook, Haunted Flesh: Stories of the Living Dead, by Robert Hood. Over recent months we supplied the chap-ebook with our Peripheral Visions limited edition give-away, but now we believe it is the right time to also release this 32k collection of zombie tales for sale. Haunted Flesh is now available in Kindle format, and will shortly be available as ebooks-only through all good online stores, and direct from IFWG Publishing Australia. IFWG Publishing Australia is pleased to reveal the Chap-eBook, “Haunted Flesh: Stories of the Living Dead” by Robert Hood. This ebook (only) consists of 35,000 words, the majority of which are zombie-related fiction published by Hood, who is considered the godfather of horror fiction in Australia, and notably an expert on all things ghost and zombie. These are spectacular stories that are hard to find and now collected in a single work. For a month or two, this chap-ebook is only available as a bonus with the limited, numbered edition offer of Peripheral Visions: The Complete Ghost Stories mega-collection by Robert Hood. Thereafter, stay tuned for the announcement of the ebook released, Number 9 in IFWG Publishing’s chap-ebook series. Special mention should be given to artist Steve Santiago, horror and dark subject extraordinaire, who designed this creepy cover. We are excited. Real excited! Readers who purchase (or have purchased) Robert Hood’s limited, signed edition will be getting an added bonus with the offer – instead of the bonus chap-ebook, Haunted Flesh: Zombie Stories with several stories amounting to approximately 20k words, it has been expanded to six stories (yes, six!) and a mocku-article titled ‘Professor Cadaveros’ Experiments in Transcendent Mortality as Recorded in Zombie Cinema’. Over 32k of zombie fiction – practically a decent sized anthology. ONLY FOR LIMITED EDITION PRE-ORDER takers. As you can see, we have some pretty amazing stories where several are hard – real hard – to find. It is an excellent zombie collection. To remind you, CLICK HERE if you want to pre-order Peripheral Visions, a mammoth signed tome with all of Robert Hood’s ghost fiction, plus Haunted Flesh: Zombie Stories chap-ebook. For a quarter of a million words of amazing horror fiction, plus Robert Hood’s signature, limited edition number, and shipping, this is a truly great deal! Very happy to announce the release of a collection of flash fiction and short stories, in chap ebook format, Of Emus and Seahorses, by Paula Boer. Paula Boer’s stories take the view of iconic Australian fauna, wrapped in scientific fact. For only US$0.99, this short work will delight and edify you. Of Emus and Seahorses will soon be available in all good online stores, but can be bought now through the IFWG Publishing eBook Store. 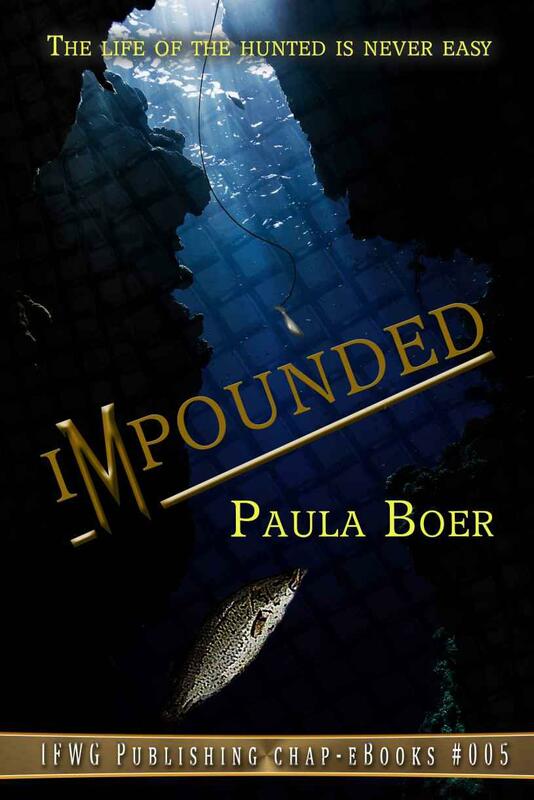 It is with pleasure that IFWG Publishing Australia releases its first Chap-eBook, a short story titled ‘Impounded’ by Paula Boer. We have added it to the chap-ebook catalog held by IFWG Publishing (International), but this work is written in Australian English, set very much in Australia. It was first published in Angie’s Diary (September 2013), coming second in the writer ezine’s inaugural short story competition. We are proud to reproduce it here, and to showcase in short fiction form the talented writer that Paula Boer is. The wet season has arrived in the tropical north-west, a time of destruction and renewal. Nutrient-rich waters flood into the sea, the layers mixing in plumes as the waves churn. Nimbus clouds broil, engulfing the entire sky. Thunder echoes off the sandstone cliffs that stand sentinel to the river openings. Broadened by the floods, the swollen mouths gobble up sandy shores and scrub-filled lowlands, swamping the coast that lay bleached and dehydrated only weeks before. Additionally, we are impressed with the cover, designed by Elizabeth Lang. The short story can be purchased for a low US$0.99 in EPUB or PRC (Kindle Compatible) formats.